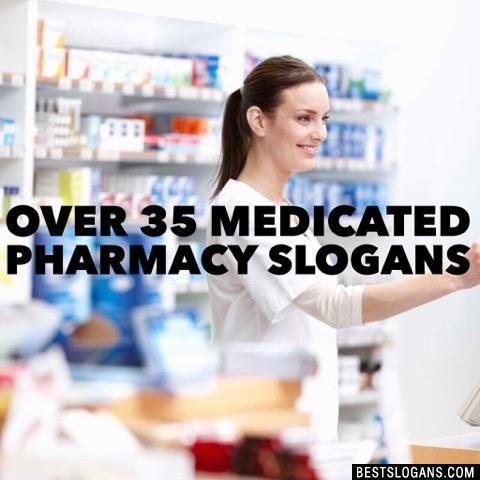 37 new entries added to pharmacy slogans, that include pictures. 1. Pharmacists without scruples are not worth a dram. 1 Pharmacists without scruples are not worth a dram. 5 Pharmacy techs know how to mix it up. 6 A hometown pharmacy with world class service. 7 Just what the doctor ordered. 8 If it's a matter of your health, it matters to us. 9 We'll always make time for you! 12 Quality products at affordable prices. 13 Your family medical shop. 14 The cure for the common drug store. 16 In sickness and in health. 17 Feel good, pay less. 18 The beauty of Gordons is the price. 19 Healthcare at healthy prices. 20 Your local community pharmacy. Can you think of a good Pharmacy Slogans we're missing? Or come up with a clever one of your own. Please share below.